For many areas of the whitetail’s range, there isn’t a more magical time to be in the woods than November. Fall has set in and colder temperatures meet your face as you walk out of the house in the mornings. But more than either of those, the whitetail rut is on. We often use the term “rut,” and commonly relate it to the breeding season. This is partially true as breeding does occur during this timeframe, but more often what we call the “rut” are the activities before and after the peak breeding dates for a region. 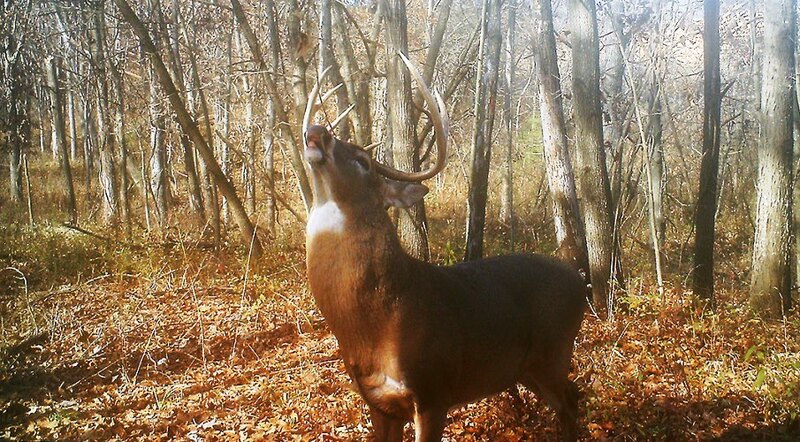 These “rut phases” are what get our blood pumping every November. This year, to increase your success in the stand, make sure that you attack each phase of the rut independently. Ultimately, the encounters you have may not be as luck-driven as you originally thought. The first sign of things starting to ramp up, the “Cruise Phase” is not necessarily the most exciting time of the rut, but it can often be the most successful. This is mainly because bucks are relatively predictable in their behavior. Scent checking scrapes during daylight hours for the first time all year, the opportunity to get on a target buck is pretty good. Trail cameras can be one of your greatest assets, allowing you to determine the time of day he is passing through. Scents/lures, rattling and grunting can be extremely effective during this phase as bucks are anticipating the first doe to come into estrous. Likely my favorite seven to ten days to be in the woods each year. The “Chase Phase” is the time in which that giant could appear out of nowhere, crashing through the woods, hot on the trail of a doe. This is the phase when most hunters say “the rut is on.” But in all actuality, the breeding in the herd is just beginning. This phase usually has the most activity level because the number of receptive does is relatively low. You may even see numerous bucks trailing a single doe. Every day of the chase phase, more and more does will begin to become receptive. The best times are still typically the first few hours of the morning and evening, as bucks are scent-checking feeding doe herds. Though you might think this is the time to “be in the woods,” activity begins to decrease during the peak breeding phase. In fact, it can often be referred to as the “lockdown phase” as many bucks are locked down with a receptive doe for 48 to 96 hours at a time, often with very little movement. However, this is also when you can catch a monster cruising at any hour of the day. The moment his time ends with one doe, he is on the search for another. Though it may not be constant excitement, all-day sits can pay off huge for those with patience. Does that were not successfully bred or missed, will recycle in 28 days. As they come back into estrous, the activity of chasing can actually pick up. Scrapes “re-open” and bucks begin to look for receptive does. It’s often best to adapt back to the “Cruise Phase” strategies. Although by this time many gun seasons are open, and the hunting pressure overrides most of the natural movement. The best analogy for the second rut is actually spring turkey season. The first big peak in gobbling activity is around when most hens are available to be bred. However, massive predator populations often cause hens to lose their first nest. They will then come back available for breeding, causing a second, smaller peak in gobbling activity. Whitetails are very similar. Though some of the so-called “Second Rut” is actually caused by doe fawns reaching a critical weight to be receptive, the most likely is does that were not successively bred. Does will recycle into estrous 28 days later on average, and because it is long after the “Clean-up Phase” ends, it gives the impression of a second, less intense rut. Although it covers no more than 30 days on average, the Rut is such a diverse time of year. It is critical to develop a strategy for each phase. For those lucky enough to harvest a buck early, they avoid the constant chess match between man and beast. But isn’t that why we all hunt in the first place?